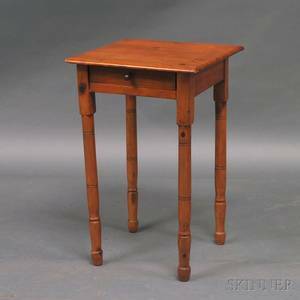 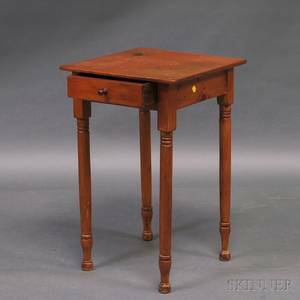 Pine one drawer stand, 19th c. , 29 1/4" h., 24 1/2" w. Provenance: The Estate of Anne Brossman Sweigart, Ephrata, PA.
Pine One-Drawer Stand and a Birch One-Drawer Stand. 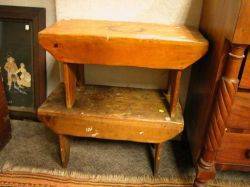 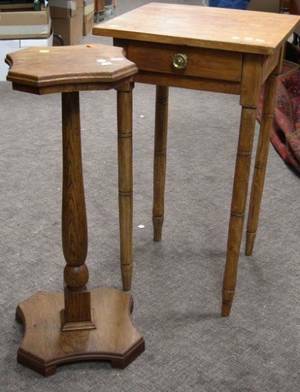 Late Victorian Oak Pedestal Stand and a Pine One-Drawer Stand. 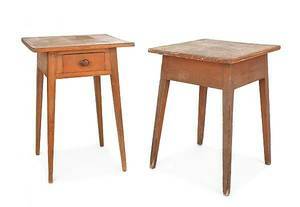 Pine One-Drawer Stand and Two Pine Bucket Benches. 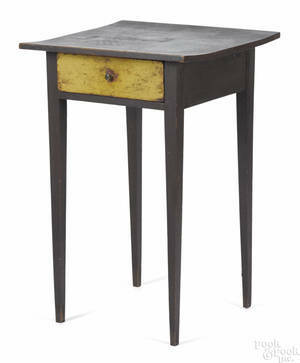 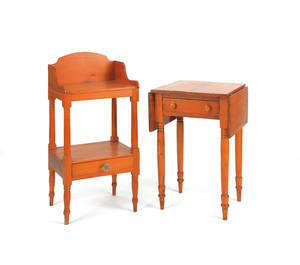 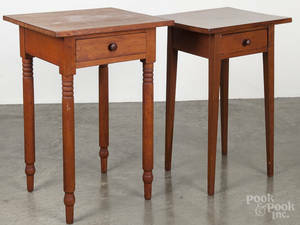 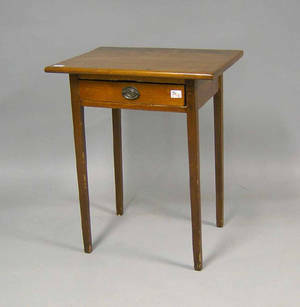 Federal Mahogany Two-Drawer Work Table Pine One-Drawer Stand and a Washstand.